Embarking on a gluten-free diet doesn't mean you have to give up your favorite noodle dishes. While there are a variety of gluten-free pastas readily available, their texture and flavor can be an acquired taste for some. Many Asian noodles are naturally gluten-free and can be a wheatless substitute in numerous recipes. These noodles can be found online, at your local Asian market, or at some big box grocery stores. Rice Noodles: A staple in Southeast Asian cookery, rice noodles are eaten hot in a soup or cold in a refreshing salad. Made from rice flour, these noodles can be found in variety of sizes. 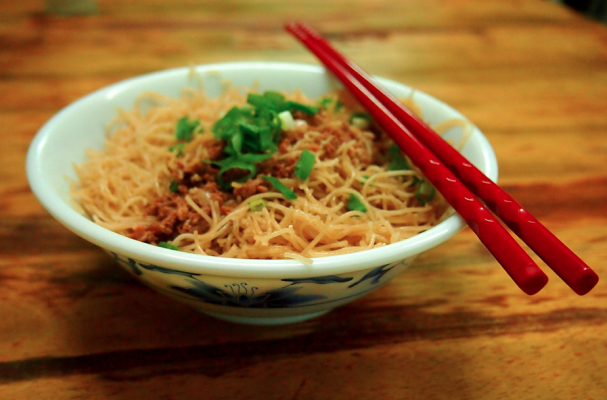 Bean Threads: Also known as cellophane noodles or glass noodles, these noodles are made from mung bean starch. This flavorless noodle can be used in traditional applications like salad rolls and noodle salad or as a gluten-free alternative in non-Asian recipes. Shirataki: Favored by dieters, this almost calorie-free noodle comes from Japan. They are made from Devil's Tongue yam and are usually found pre-packaged in liquid. It is recommended that the noodles are rinsed and par-boiled to remove the fishy odor. Sweet Potato Vermicelli (dang myun): Made from sweet potato starch, this Korean noodle is delicious in stir-fries. Tofu Noodles: Sold refrigerated or dried, this Chinese "noodle" is packed with protein and contains little fat. It is usually found in Asian salads, stir fires and soups. *Many of these noodles are not marketed as a gluten-free products so always check the ingredient list to ensure no wheat has been used.